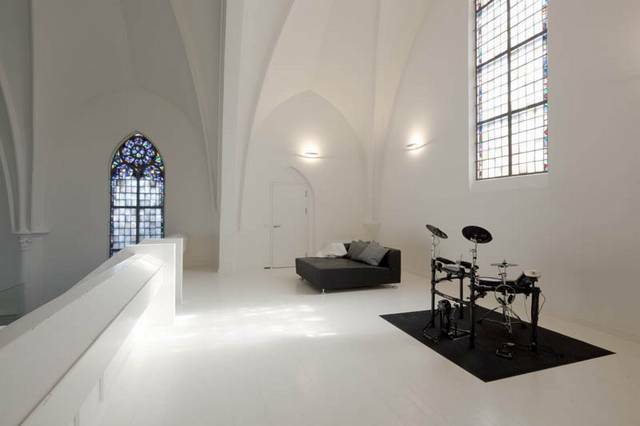 The old Catholic St.-Jakobus Church is transformed into a spacious house. The church stands inconspicuously in a street facade at the Bemuurde Weerd in Utrecht city. Since 1991 there were no longer divine services in the church and until 2007 the church was used as a showroom for antique furniture. This house is located in the Utrecht, Netherlands. In 2009, it was converted from the Saint Jakobus Church. The church was built in 1890. It has 46 ft. high ceilings and stained glass windows from the 1911 period. Also, the church was let out as meeting-place or used for small concerts. For these functions in the ‘90 there was made large mezzanine floor. This floor was an important factor in the designing process. 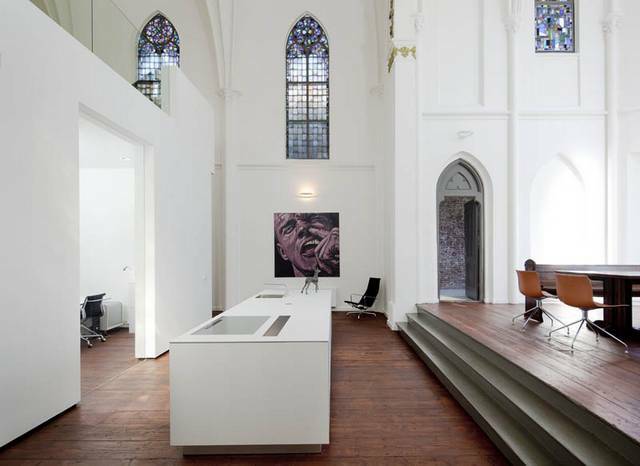 The mezzanine floor has been substantially modified to recover and reinstate the spatial qualities of the church. With the partial removal of the floor, interesting sight lines are underlined and more light can penetrate the ground floor. Underneath the floor intervention bedrooms, a study room and a bathroom are located. Indirect daylight enters through vacant spaces in the floor and openings in the walls. The vacant spaces form inner patios, which also divide the living space on the first floor into different areas. The unattractive mezzanine floor from the 90s is transformed from a functional and spatial sculpture into a monument. The modern residential volume is completely detached from the old church building and can be regarded as a temporary ‘resident’ of the historical church. The circulation space meanders through the volume and connects the open front with the rear of the church where the altar once stood. Sometimes, the experience of a monumental church is dominant and on other moments the new ‘look’ of the residence predominates. In the rear the kitchen is accommodated forming an island in the middle. Old pews have been reused for the dining table. To strengthen the relationship with the backyard and to provide additional daylight at the dining area, three new glass fronts are created. The sleek glass-facades are distinguished from the other windows in the facades and are sometimes placed oblique in the facade to point out the distinction with the existing windows. Furthermore, the church on the outside is fully preserved and daylight and natural light comes in through the original stained-glass windows. 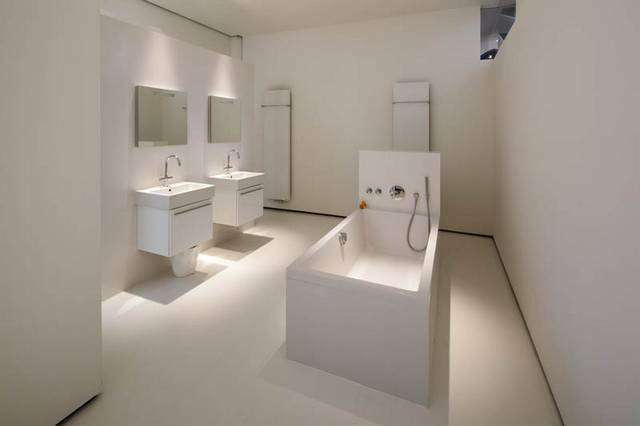 The exceptional quality of this project is that the church has been transformed into one dwelling. The church is not divided into small units, which would have destroyed the spaciousness of the church. Besides, small units or a situation with separate ownerships could make a new conversion in the future impossible.